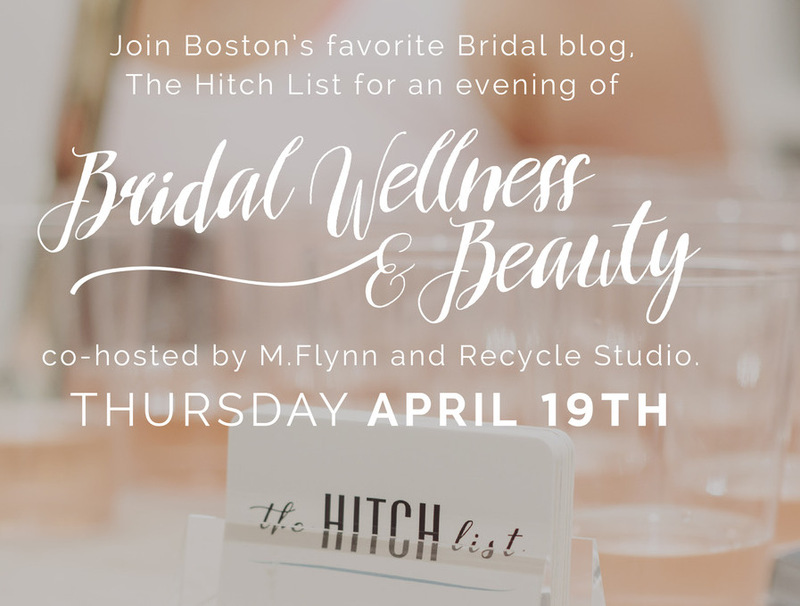 Brides... gather your Maids and join The Hitch List, alongside Recycle and M. Flynn for an evening of Bridal Wellness & Beauty on Thursday, April 19th from 6:00-8:00PM! This event is free but you need to RSVP, click here to do so! AND if you want to get your sweat on, join us for a BRIDE RIDE at Recycle before the bash. The class will be from 5:20-6:05PM at Recycle's studio, just around the corner from M. Flynn! Click here to sign up for the BRIDE RIDE. The Hitch List is hosting another Pop-Up Bridal Bash with Recycle on Wednesday, April 26, 2017! This will be fun for brides and bridesmaids alike with complimentary Mini Makeovers by Katrina Hess, Polish Changes by MiniLuxe, Bridal Hair Trials by Kent Newton Salon + Deals on rehearsal dinner and engagement dresses from Alice Walk, Boudoir Photography from Ma Cherie Studios and Tanning at Pure Glow. The event will fill up so email hellothehitchlist@gmail.com to RSVP. I know how much every perk helps in the throes of wedding planning so I'm so excited to share this great discount from Doie Lounge, a line of luxury robes made for brides and bridesmaids. Designed by newlywed, Cali native and TWELVE-time bridesmaid, Sara Kirsner, each robe is incredibly soft and there are 18 choices with fun pops of color in patterned silk. All robes are made from high quality, earth-friendly fabrics, and are produced in Los Angeles. You can read more about the line on the blog and visit the Doie website here. HITCH LIST PERKBrides receive 20% off any robe with the code hitchlistat checkout, and if you're buying in bulk (aka for your bridesmaids), you'll receive additional discounts. Join Recycle Studio on Thursday May 19th at 6pm for a 30/30 sweat session for brides-to-be and members of the wedding party! This one hour workout will include 30 minutes of kickboxing outdoors with Alice followed by a 30-minute ride with Elyse! There will be a raffle for prizes from Miniluxe & Pure Glow, a free Bride Vibes top + a sip of Rosé at the studio post sweat. 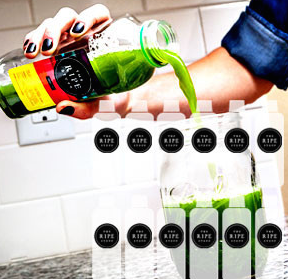 PlusThe Hitch List and Recycle are giving away a two-week UNLIMITEdspinning package and a signature manicure to MiniLuxe to one lucky winner who submits a review between today and May 20, 2016.
click hereto submit a review and be eligible to win two-weeks of unlimited spinning at Recycle + a MiniLuxe signature mani. ...And Click Hereto read The Hitch List's Bride/Babe Q/A with Recycle's Bridal Bootcamp co-leader and newlywed Elyse Winer. It's a good one. 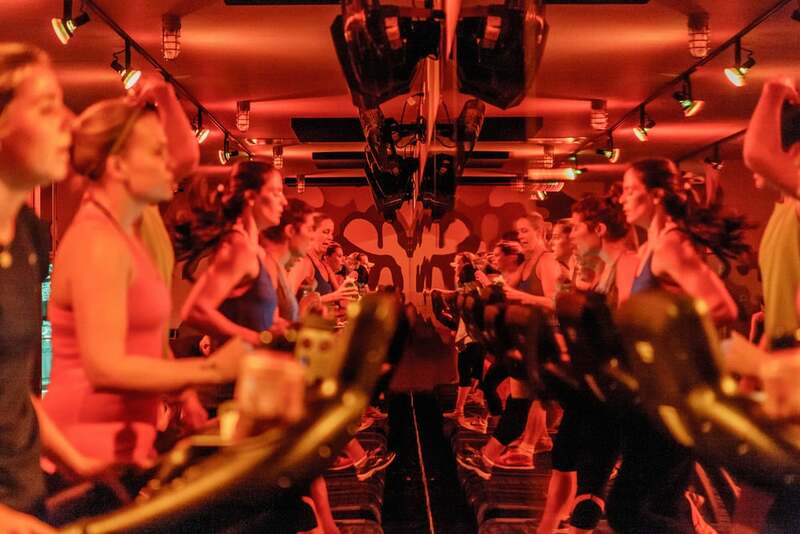 Whether you joined us for the Brides & Bridesmaids Bootcamp on January 9th, or are just catching this now, The Hitch List x Barry's Bootcamp Boston's post class perks continue. January 9th's Bootcamp featured a 55-minute, super toning, full body class at Barry's Bootcamp, followed by Mimosas, Complimentary 'hand facials' and skin analysis from the experts at skoah, along with $50 gift cards to their spa, Complimentary brow cleanups from Lashes by Mai and a 35% discount on full sets of mink lash extensions, Samples of The Ripe Stuff's locally made, hydraulically pressed juices, Braids, Blowouts, and Updos from the stylists at Salon Capri and Be Styled, plus discounts on 3-, 6-, and 12-pack blowout purchases, Complimentary cake pops from Treat Cupcake Bar, Mini Consultations with Barry's Bootcamp instructor & fat loss coach Garrett Wood about keeping your nutrition in check and a 10% discount on Barry's Bootcamp Boston's Bridal Package, "Get Barry'd Before You're Married." Join The Hitch List's newsletter to catch the next event! My friends at Paperless Post have created a discount just for Hitch List readers! Use the code hitchlist15for 15% off all Paper products, valid from now until December 31, 2015. I used Paperless Post's PAPER for my Save the Dates and couldn't have been happier with the outcome... Also admit to spending way too many hours shopping options. Email us at hello@the-hitch-list.com to learn more and receive an invitation! 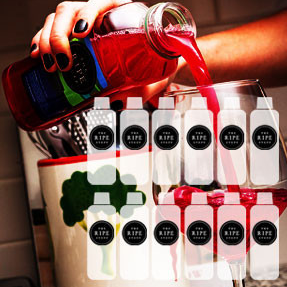 The award-winning spin studio, Recycle, is hosting a not-to-be-missed Brides & Maids Bootcamp on Tuesday July 21st.The 60-minute sweat session will consist of a 30-minute ride at Recycle's South End studio (643 Tremont Street) and will be followed by a 30-minute outdoor strength training session in a nearby park. Bridal Bootcamp is led by stellar Recycle instructors and brides-to-be Elyse Winer and Emily Susen. It's just $25 for the class. Brides and bridesmaids are welcome and can sign up online at this link. Space is limited so sign up soon! For a good dose of fitness inspiration, check out our Q/A with Emily and Elyse here. Accessorizing your bridal party can add up quickly, which is why our friends at Ku De Ta offer 10% off all accessories for bridal parties. Choose from cool designers like Kendra Phillip known for her cuffs and initial pendants in rose gold, gold and sterling silver, Jo Jo Blings who makes a rainbow of studded earrings that match any bridesmaid dress, and Jolie's crystal accented hair accessories. Talk to any stylist at Ku De Ta for more info and check out Ku's style tips under Musings.